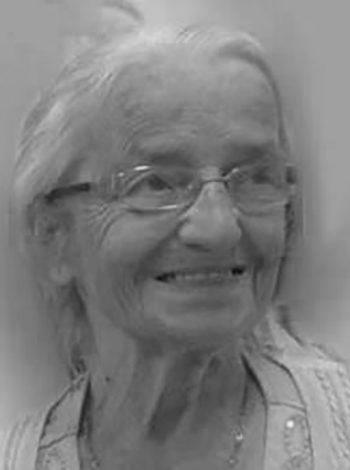 Passed peacefully away in the presence of her loving family, Eva Beehan, aged 86 years. Predeceased by her husband Thomas; parents Jack Ellis and Elizabeth Milley; sister Fanny and twin brother Chesley, Burnt Point. Leaving to mourn two precious sons Gerald (Jillian) and David (Linda); four beautiful grandchildren Chelsea, Joshua, Katie and Victoria; sisters Joyce Barter, St. John’s and Marge Brouchu, Framingham, Mass; also a large number of other relatives and friends. Cremation has taken place. Visitation at Carnell’s Funeral Home, 329 Freshwater Road, on Monday July 18 from 2-4 and 7-9 p.m. Funeral will take place on Tuesday July 19 at 11:00 a.m. from Wesley United Church. Flowers gratefully accepted or donations in Eva’s memory may be made to a charity of one’s choice.